Photo credit: Naira Ayvazyan of www.NairaStudios.com. 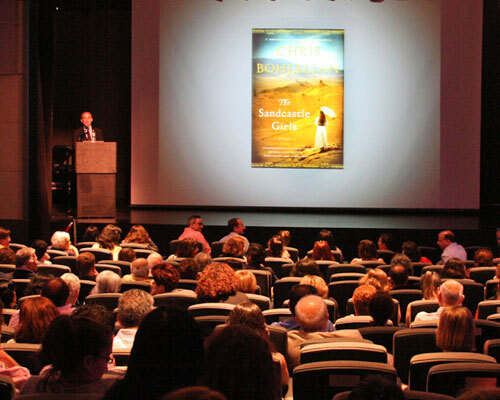 AGBU Ararat hosted a book launch event in New York City this past Friday, August 3, 2012, co-sponsored by the Armenian National Committee of America (ANCA), for Chris Bohjalian and his new novel, The Sandcastle Girls. 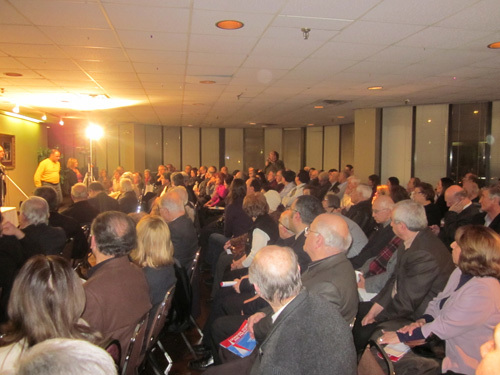 Over 200 enthusiastic guests listened to him weave wonderful anecdotes about life as an author on tour with touching memories from his Armenian childhood. His new book is a must-read. Read full coverage from the event here and buy the book here. Since it debuted two weeks ago, copies of “The Sandcastle Girls” (Doubleday) by Armenian American author Chris Bohjalian have been flying off the shelves across the country. Now, readers in Boston know the backstory behind the bestselling love story, following a presentation co-sponsored by the AGBU Young Professionals (YP) of Boston. 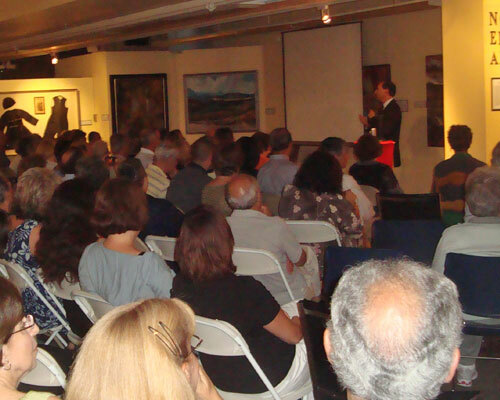 On Thursday, July 26, 2012, the YP group, in collaboration with the Armenian Library and Museum of America (ALMA) and the National Association for Armenian Studies and Research (NAASR), hosted a talk with Bohjalian. As the grandson of survivors of Armenian Genocide, Bohjalian recounted, he had long attempted to produce a book set during that period. Only after traveling to Lebanon and Armenia to trace both the history of his family and of the region, was he able to create the novel, his fifteenth to date. 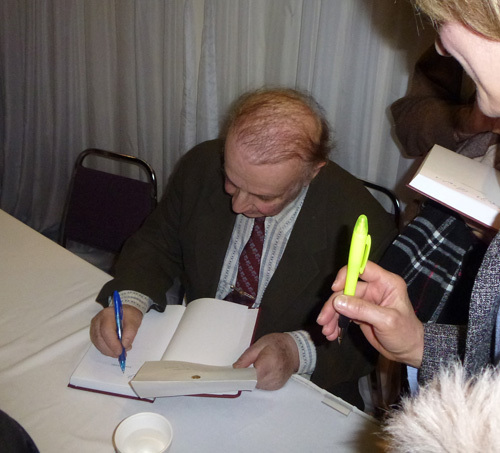 It is, Bohjalian stated at the event, the most important book he will write – and one of the enjoyable, as the close to 300 people who came to hear him speak at ALMA will attest. 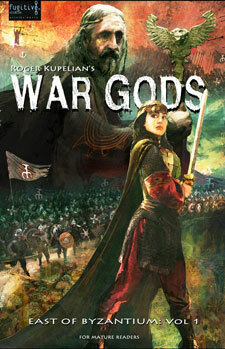 Bohjalian will have another presentation and signing – which is already “sold out” – at the AGBU Central Office in New York on Friday, August 3, 2012, as part of his national book tour. 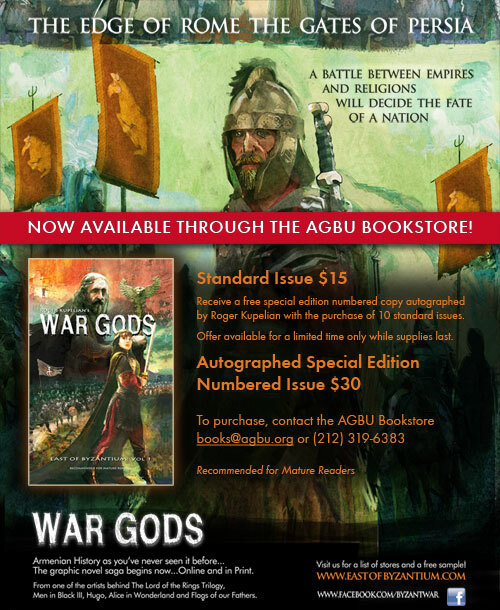 The event is presented by ANC-NY and Doubleday Publishing, and will be hosted by AGBU Ararat and co-sponsored by the AGBU Young Professionals of Greater New York (YPGNY), the Armenia Network – NY Region, AYF-YOARF New York “Hyortik” Chapter and Hamazkayin of New York. 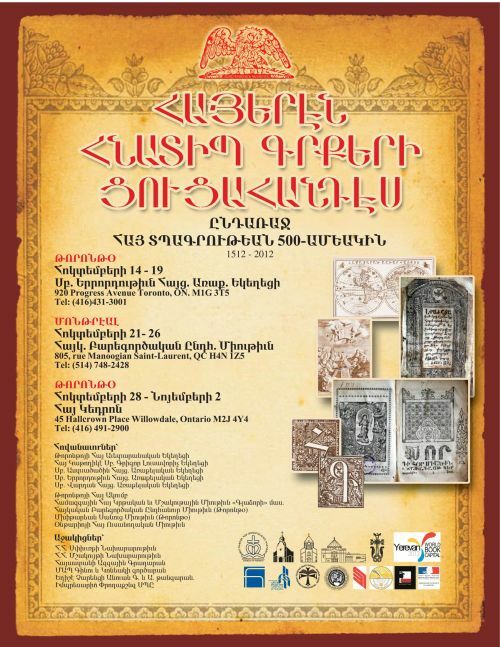 On the occasion of the 500th anniversary of Armenian printing, both Montreal and Toronto will be hosting Armenian book exhibitions in October to mark the occasion.